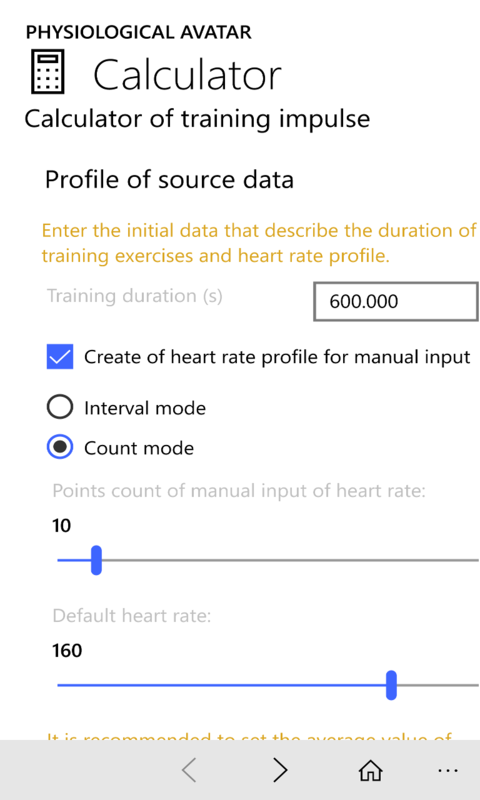 The Training Impulse Calculator is a tool for calculating the training impulse (TRIMP) that an athlete has received during the Heart Monitoring exercise ('s). 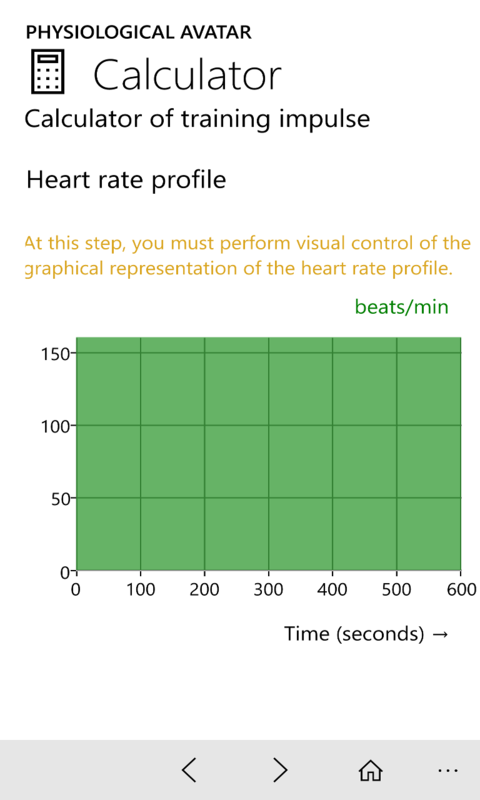 The source data for the TRIMP calculation is the duration of the exercise and the time profile of heart rate. The calculated value of TRIMP is used for optimum planning of the training load in the that of athletes to compete in cyclic sports. More about: Optimal planning of the training process. When you calculate a training impulse, you use the Sportsman's physiological avatar to define its model individual lactate profile. 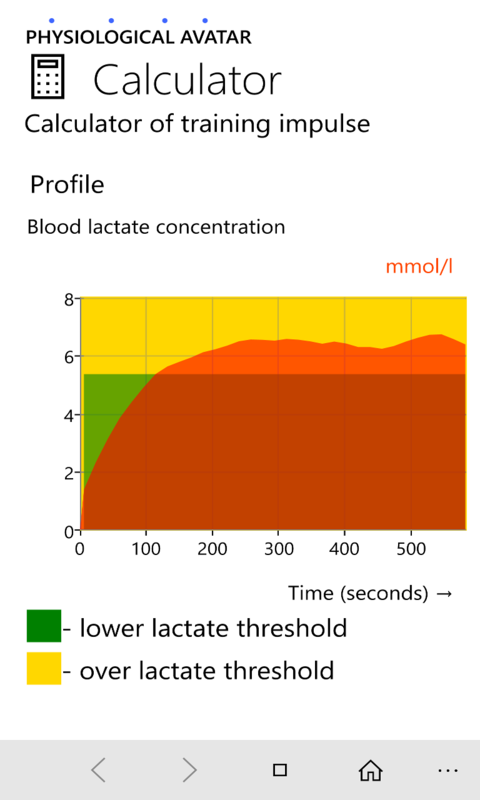 The individual lactate profile is used as the base mathematical model for the calculation of TRIMP. 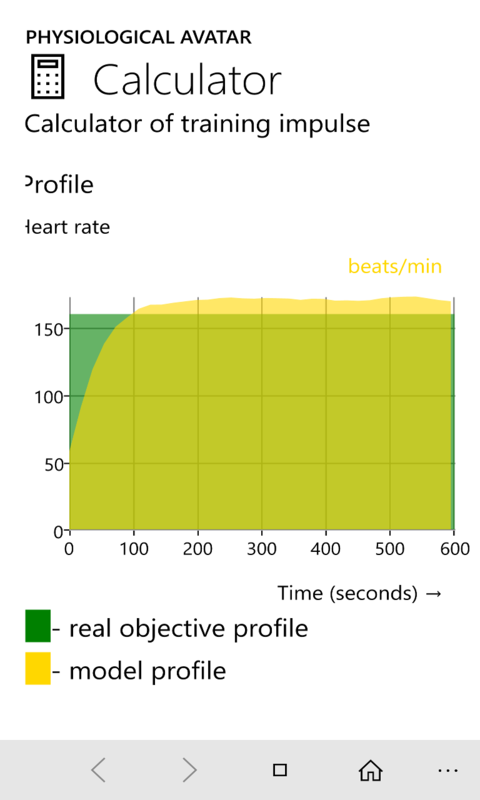 Manual entry of a practice profile frequency of heart rate. 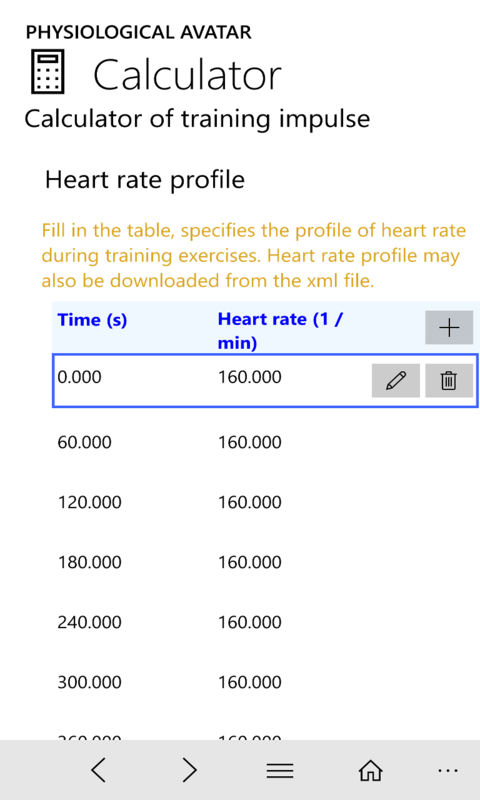 Load the practice profile of the heart rate from the structured XML file. 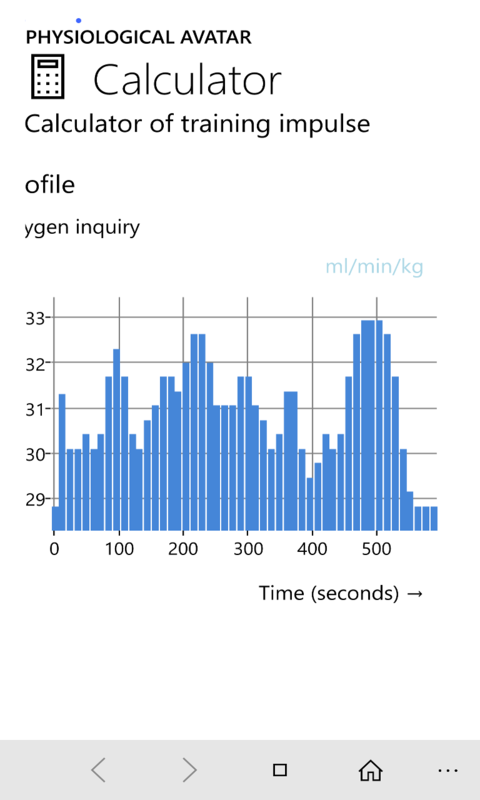 Calculation of the training profile of the oxygen request. Calculates the training profile of the blood lactate and its relationship to the level of the lactate threshold. 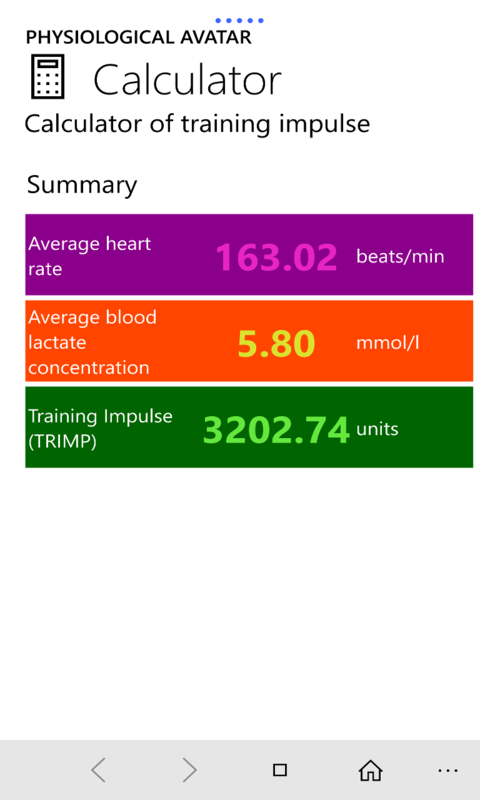 Calculation of training impulse (TRIMP). Software application Coaching Toolkit for cyclical sports for supported software platforms. Software application Coaching Toolkit for kayaking and canoeing for supported software platforms.